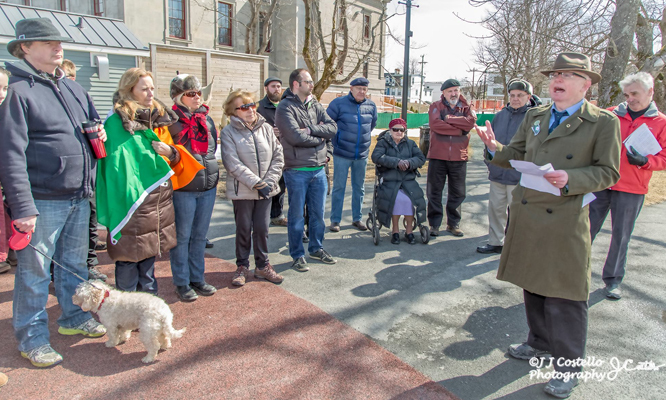 St. John's Historical Walking Tour Celebrating The Life of Aly O'Brien. THIS IS A GROUP TOUR for family, school reunions. Wedding parties and Staff Development. YOU WILL HEAR ALL ABOUT NEWFOUNDLAND’S LINKS TO IRELAND. BOOK BY SATURDAY EVENING TO ENSURE YOUR SPOT ON THE SUNDAY EVENING TOUR. Meet at 6:45 PM at the steps of the Roman Catholic Basilica. RESERVATIONS ESSENTIAL- SPACE IS LIMITED !! THIS TOUR SELLS OUT QUICKLY !! Come along with me on this unusual and memorable stroll back in time. Hear the stories about the hardships and how the Irish adapted to their new land. Listen to stories about some of the failures and triumphs in early politics of the Colony and most of all come and relive the Irish struggles to preserve their religion, culture and language. This is the perfect tour if you have a little time to spare and you want a true sense of the Irish influence in Newfoundland. This unique "street seminar" will be informative educational and most of all entertaining. Take your camera as this tour takes you off the beaten track and takes you to places that the tourists never experience. Law and order - The Police modeled on the R.IC.